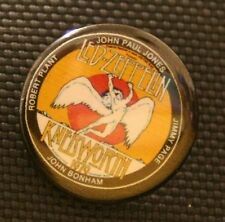 No 1 LED Zeppelin Fan Personalised- Flexible Fridge Magnet Approx 5" X 4"
Vintage Original Led Zeppelin Badge. Condition is Good. Dispatched with Royal Mail 1st Class. This is an original not a reproduction. Measures 2.5 ins across. 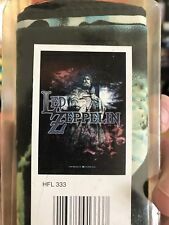 Led Zeppelin And The Who Concert Ticket Coasters. Condition is Like New. An unofficial bootleg DVD of part of this legendary concert.the footage is great but the mix has the bass very low. In 1973, Zeppelin undertook an incredible venture to Southampton University and played this concert at the Old Union Refectory. 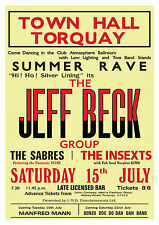 Entry to the concert was £1! 1100mm x 700mm (44" x 28"). UK: 2nd class free. Washable - can even be ironed (carefully!). Each Card is 8x6cm.You will receive the complete 10 card set. 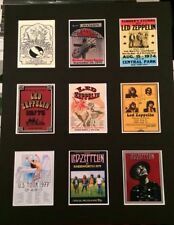 LED ZEPPELIN O2 London evening Standard Inc Centre Spread Poster. The last concert Led Zeppelin ever played in Britain at Knebworth Park, August 11th 1979. WALKING INTO EVERYWHERE 1998 World Tour. PAGE & PLANT. Includes 'Best Buy' insert. LED ZEPPELIN - A CELEBRATION. 2003 BOOK BY DAVE LEWIS. ITEM :Led Zeppelin Complete Book. Classic original concert tour books. All pages intact. THERE ARE 2 WAYS IN WHICH I CAN HELP WITH THIS . LED ZEPPELIN rare Genuine Knebworth 79 T Shirt Vintage. Genuine vintage t.shirt of mine. Seems like only yesterday i was there watching the legend that is led Zeppelin. So obviously the shirt is old and faded ( bit like myself) but still able to dazzle 😉 Small split in left hand sleeve that i don't want to mend as it adds to the look. I've tried to photograph about 4 really small little holes in the back that have come with age also. ...its old its genuine and its beautiful. Sad to part ways with it but i need the dosh! Its size was originally medium but i would say by today's sizing its a small. Gonna fit a slim person. The Best of Led Zeppelin music song book 1981, in good clean condition. MINT CONDITION 33" X 23.5. NUMBERED OF 250. Led Zeppelin Fans! Get your own "The Object" Sculpture replica. This a real part, not a photograph. It is made by 3D printing. The material is black plastic and it weighs 7 ounces. They were supported by The Insexts and The Sabres. This is a reproduction and has been taken from the original. It is in mint condition, no tears, pin holes or creases. This has been in the loft a few decades so not recent copies. Picked up at a gig in Germany as i recall. ROBERT PLANT VINTAGE 1970s COLOUR PHOTO MOUNTED AND READY FOR FRAMING 10" x 12"
Led Zeppelin / Embroidered Iron-on PATCH / Exc+. New condition / 2 1/4 x 4 1/2"